The short-term student route is particularly suited to international exchange students who are coming to study with us for one term, however, there are several restrictions under this route (employment and bringing dependents are just two examples). 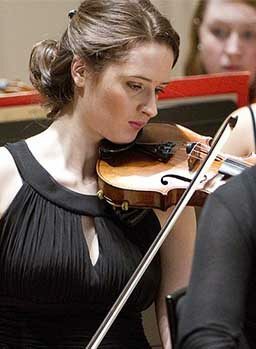 If you are coming to study a full-time course that lasts for six months or longer, or your course is less than six months in duration but you are required to do a work placement as part of your course, then you will need to request a CAS from the Conservatoire to enable you to apply for the Tier 4 (General) visa. The short-term student route is also relevant for those people on distance learning courses who only want to come to the UK for a limited period at any given time, and for those who need to re-sit an exam or re-take a module. Please refer to the Home Office guidance link to ensure you meet the criteria. Short-term students are not allowed to apply to switch into any other immigration category while still in the UK. If you wish to continue studying in the UK after your entitlement to remain in the UK as a short-term student has ended, you will need to return home and apply for entry clearance as a Tier 4 student, or in another appropriate immigration category. There are several differences between the short-term student and Tier 4 (General) routes so it is important that you apply for the correct type of visa. More information on the short-term student route is available at The Home Office and on the UKCISA website.